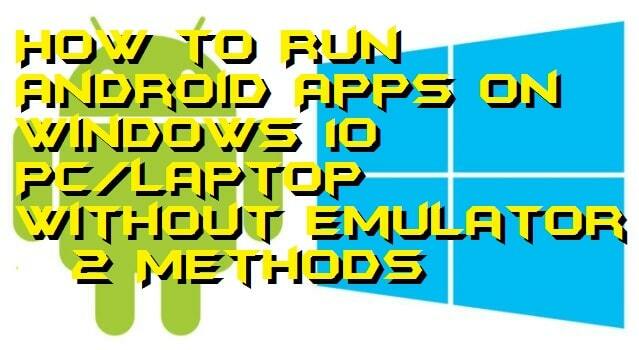 Hello friends, Today I will share a method on how to run Android apps on Windows 10 PC/Laptop. Users can use all Android apps directly on Windows 8, 8.1 and 10 without any Emulator. I have shared a legal way to play all your Android games on the computer. It is a safe and free method. If we talk about mobile phones then the first thing which came up in our mind is Android. Android is the most popular operating system in the world. Android OS not only has many amazing features but also has tons of applications available that can perform your wished task within seconds. Android is not only available in mobile phones but also available in TV’s and wearable devices as well. Further, there is a majority of the Windows PC users that are using Android phones in their daily life. But most of the Android apps and games are not available in Windows 10 PC/laptop. However, Windows 10 PC/laptop already has a pre-installed phone app in the system. But, It is not much useful as it looks. So, the question remains the same that how we can run Android apps on Windows 10? Well, there are some fortunate was which you can use to run Android apps on Windows 10 very easily. There are many Android emulators available in the market to run Android apps on Windows 10 such as Bluestacks, Youwave, Google’s official Android emulator. The main reason why not much people wants to use these Android emulators is that they are very heavy and adamant about installing in Windows PC/laptop. So, how we can run Android apps on Windows 10? There are plenty of easiest ways which you can use if you want to run Android apps on Windows 10 pc/laptop literally. Here, I have shared two different ways by which you will get to know about how to run Android apps on Windows 10 pc/laptop. Also, these methods do not require any extra equipment to do so. Mirroring an Android phone to the Windows 10 PC/laptop is the best and easiest way ever to run Android apps on Windows 10. 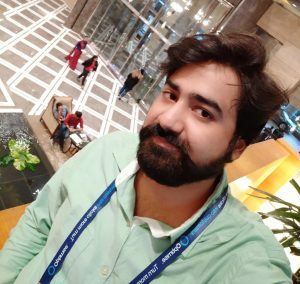 This technique does not require any kind of app or other related things which you need to have before you do so. The full step by step guide is given in this section of the article. Just head up to the method without wasting any time to start running the Android apps on your Windows 10 PC/laptop. On your Windows 10 PC/laptop, search for the connect app. Once you got it, then click on it. Now, on your Android phone, go to the Settings. Then, search for mirror keyword in the search box. From the search results select Mirror Screen option. Note: The mirror screen option can be of a different name on your phone; it depends on the manufacturer. Now, using that, connect your Android phone and Windows 10 PC/laptop. That’s it. On your Windows 10 PC, you will be able to see the screen of your Android phone in the connect app. You can run any app on your Android phone and can view it on your Windows 10 PC/laptop. Run Android APK (formerly known as ARC Welder) is a Google Chrome web browser extension which helps the PC users to run any of the Android apps. It is a free chrome extension which is very lightweight and easy to use if someone wishes to run Android apps on Windows 10. So, what are you waiting for? Follow up the entire guide and use this chrome extension if you want to run Android apps on Windows 10 right now. On your Windows 10 PC/laptop, open Google Chrome web browser. Go to the Chrome web store and install the ARC Welder extension Link. Then, click on the ARC Welder icon to open it. You will be able to see a mobile like a window. Now, drag and drop the APK file of the app which you want to run. That’s it. The extension will start running the app. This was the entire article about how you can run Android apps on Windows 10 pc/laptop. If you wish to run Android apps on Windows 10 using an Android emulator, then you can use it. Maybe there are some other ways which can help you to run Android apps on Windows 10. But, these methods are the best methods ever to do so in a very most straightforward way. I am sure that now you can run Android apps on Windows 10 pc/laptop. If you find this article helpful then do share this article with your friends and family members so that they can also run Android apps on Windows 10.